It’s widely known that having a will is important for making it absolutely clear what happens to your assets after you die. But what’s less frequently discussed are other legal provisions that outline how not only your assets, but also your medical decisions and long-term care will be handled as you age, and in case you need help making important choices. Those options include conservatorships and power of attorney, and which you choose and how you implement these arrangements can simplify major transitions. A conservatorship is designed to protect an adult “who needs partial or full supervision, protection and assistance by reason of mental illness, physical illness or injury, developmental disability or other mental or physical incapacity,” according to Tennessee attorney Martin Pierce. In other words, if a senior becomes disabled in a way that affects his or her ability to make sound financial, legal, or medical decisions, and needs someone else to manage their affairs, a conservatorship could be a good way to protect that person and their assets. 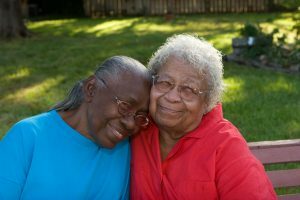 Typically, a conservatorship is only used if the senior or disabled adult is already unable to administer their own financial and legal lives. It’s a tool that comes in handy in the case of a sudden, rapid decline or emergency. If you’re planning ahead, however, for the possibility that you may need help eventually with handling your money, living arrangements, or property, that’s when power of attorney can come in handy. Naming a trusted person power of attorney gives them the ability to make decisions on your behalf. You can even name multiple powers of attorney. For example, you may want to place your medical power of attorney in the hands of a doctor or other medical professional familiar with your needs. But you might also have a cousin who is an experienced accountant and who might be better suited to assisting with your investments if you became unable to do so. In addition to arranging for power of attorney and writing a will, penning an advanced directive that lays out your wishes on medical matters such life support and hospice can reduce the burden for family members in the event of a difficult decline in health. It can also help the person or persons named power of attorney know exactly how you want them to proceed in regards to your medical care. Legal planning like this can sometimes be a difficult topic to broach. It’s natural to feel uncomfortable contemplating worst case scenarios and your own demise or that of a loved one. However, by having those talks and making preparations ahead of time, it will be much simpler to proceed should extended illness occur or a condition like Alzheimer’s or dementia. An experienced attorney like Mr. Pierce can also help guide you through how these types of legal provisions can impact taxes, help you avoid inconvenient probate requirements, and arrange for trusts. At Regency Morristown, we believe strongly in the power of planning to enhance eldercare, and hope this is good food for thought as you contemplate your golden years, or how you might care for someone special in your life.